Photos submitted to Times Observer A 1945 area conference held at the YWCA, which is now the Jefferson DeFrees Center. 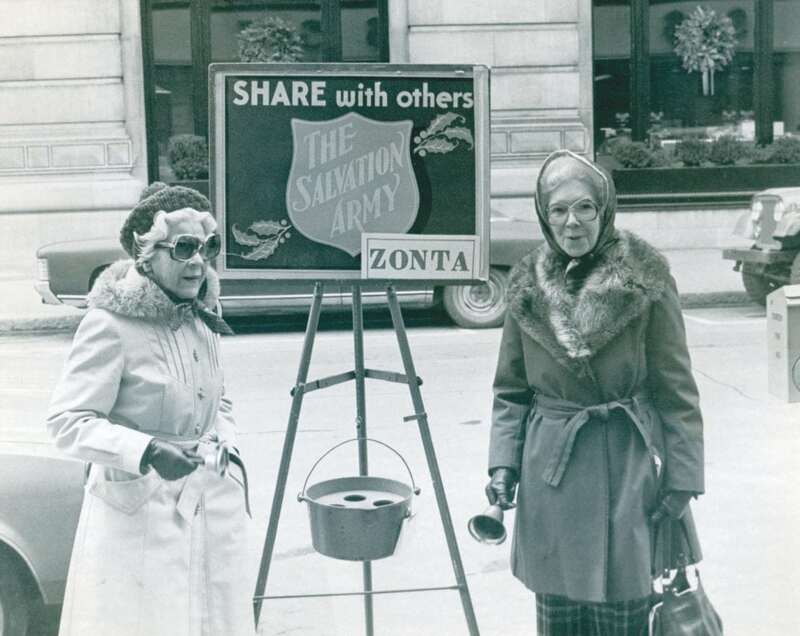 Photos submitted to Times Observer Annual Salvation Army bell ringing. 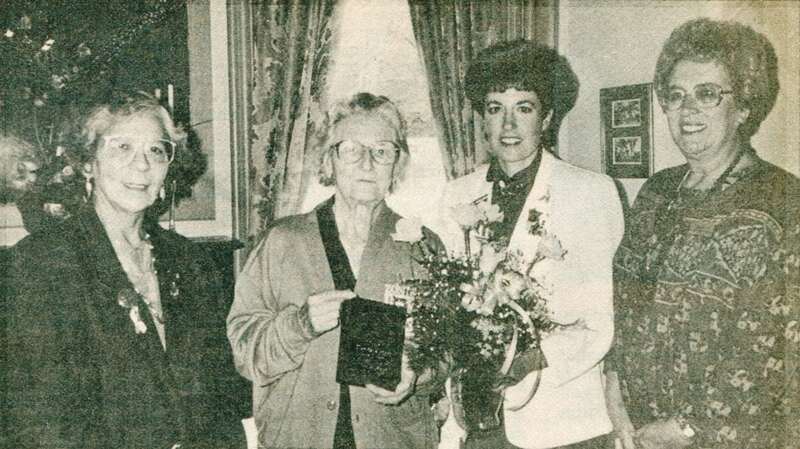 Photos submitted to Times Observer The Warren Zonta club was awarded the Zonta International Service Recognition Award for many years of hard work organizing the March of Dimes in Warren County. 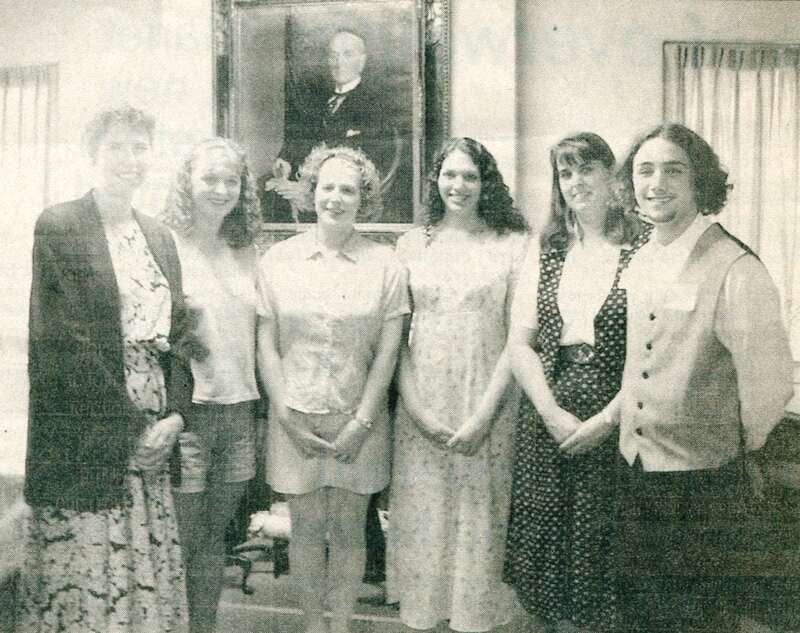 Photos submitted to Times Observer 1999 annual Zonta Scholarship award winners with Kathy Wenger, Zonta chairperson; awardees were Jamie Salapek, Aaren Danielson, Megan Gomola, Diana Andersen, and Evan Young. Photos submitted to Times Observer Members of the Warren Zonta Club’s finance committee planning a spring fashion and food show to be held at Beaty auditorium. Front row: Mary Topper, Val Jean Lindberg, Mina Rieder, and Estelle Farr; back row, Beatrice Hofer, Florence Monroe and Ursula Johnson. Photos submitted to Times Observer Warren Zonta’s 65th anniversary in 1993. The celebration was joined by (from left) District IV governor Elma Patterson of Niagara Falls, N.Y., 50-year member Martha Topper, Warren Zonta President Melinda Johnson, and Area V Director Jean Bretzin of Olean, N.Y. The Zonta Club of Warren celebrates 90 years as part of a global network of professionals committed to equal rights and a life free of violence for all women and girls. They strive to empower women worldwide through service and advocacy. Internationally, Zonta envisions a world in which women’s rights are recognized as human rights. Women locally, nationally and worldwide face issues that affect their safety, economic status and well-being. Warren Zonta supports these causes through monetary donations. Beginning in 2001, members held work sessions packaging supplies for 250-to-500 birthing kits for mothers in third countries to help ensure healthy births for their babies. In 2012, Zonta International launched “Zonta Says No to Violence Against Women,” a global campaign to raise awareness and increase advocacy. Warren Zonta reaches out to those involved in human trafficking with help posters distributed throughout the community. Looking back on 90 years of history, the support and betterment of Warren County has been at Warren Zonta’s core. 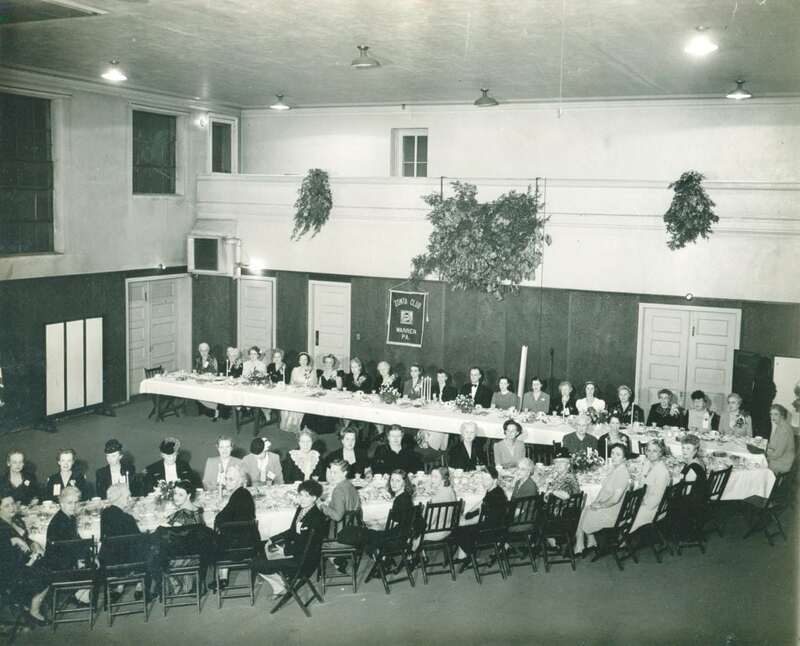 The first organized meeting of the Warren Zonta Club was held in the YWCA (now the Jefferson Defrees Family Center) on March 17, 1928. With with over 70 people in attendance, the meeting included guests from Erie and Buffalo, Lockport and Jamestown, N.Y., along with the confederation president, Louise Gerry. The Jamestown club was responsible for the organization of Warren’s club, which was chartered on June 16, 1928. Warren was the second club in Pennsylvania, though it was known at the time that the Washington DC chapter was organizing a club in Philadelphia. Alice Davis became the first president of the Warren club. 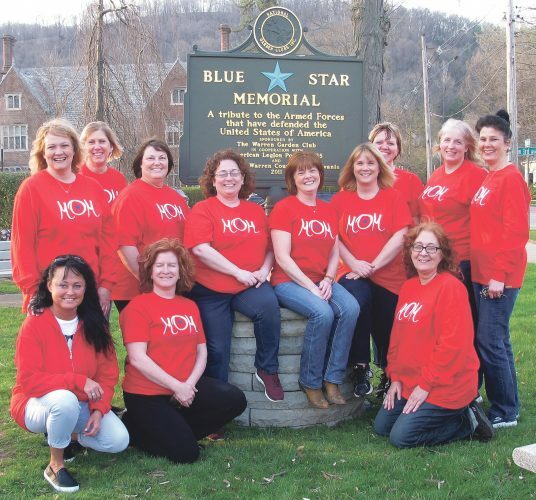 Together, they pledged $100 to help finance the organization of a Pittsburgh Zonta by each member having a party in their home with the proceeds going toward this fund. Warren Zontians have held leadership roles on international committees as District 4 and Area 5 directors, and district committee chairs, along with attending international conventions. 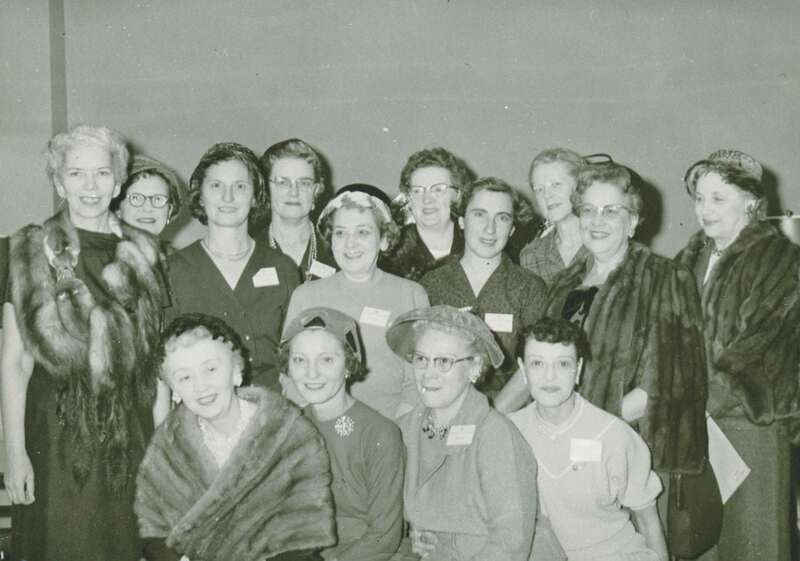 Club membership has ranged between 25 to 40 women throughout the decades. Warren Zonta has been providing scholarships for almost 60 years. They work with various community organizations on local projects and for many years have awarded scholarships to deserving non-traditional students in Warren County. Scholarships were provided for students and adults going to college. 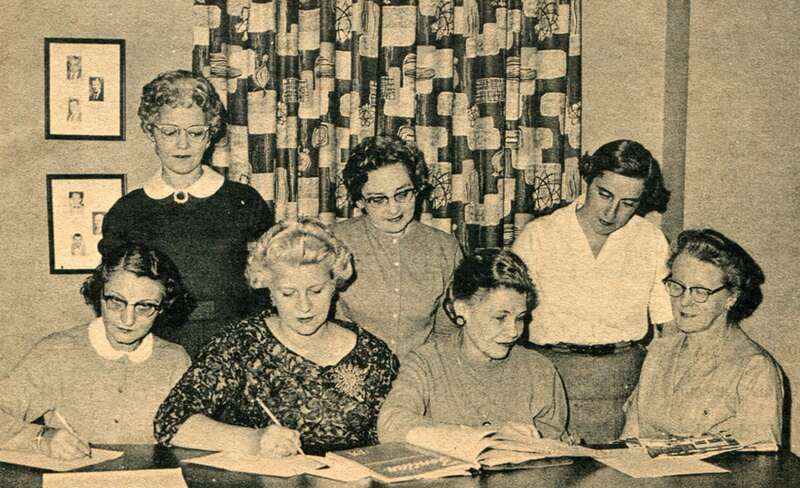 Beginning in 1961, the scholarship was offered to female graduates from local high schools, then expanded to include male graduates as well and is currently available for non-traditional students. Eligible students are invited to apply each year with selections being made in May. In June, awardees and their guest are invited to a lunch to receive their award. Zontians always look forward to this event to meet our candidates and hear about the recipients’ plans for the future. The amount of money given each year has varied from one recipient to eight in 1989. In 1961, the first recipient, Sharon Ahlgren, received a $300 scholarship. Currently, members annually award several $1,000 scholarships to support women and men planning to advance their education, enhance their job skills and learn new skills. Available records indicate that since 1961 scholarships have been distributed to nearly 190 students, with a total disbursement of over $115,650. Memorial scholarships have been established in honor of deceased members, Marian Mead (established by her family), Rose Guiffre, Helen Brandt and Betty Currie. Special anniversary gifts were also given along the way, one notably from Babs Cecchini. In 1938, Zonta International established the Amelia Earhart Fellowship to honor the legendary pilot and Zontian Amelia Earhart and the Zonta Club of Warren supports this endeavor. Today, the Fellowship awards $10,000 annually to up to 30 talented women around the world pursuing Ph.D./doctoral degrees in aerospace-related sciences or aerospace-related engineering around the globe. More than 10 million dollars has been awarded to more than 1,000 women since the inception of the Fellowship (www.zonta.org). The Warren chapter has participated in or financed a number of significant projects over the years. During the early years, Warren Zonta spearheaded the local March of Dimes campaign. They supported plans to construct a community pool, helped provide the Girl Scouts with camperships and supported the Warren General Hospital to name a few. Zonta has provided funds to the Warren County Conservation District’s “Envirothon” to teach the importance of natural resources in our Allegheny National Forest and state parks. Zonta supports Don Mills Achievement Center’s “Camp Talk A Lot,” helping children with disabilities. 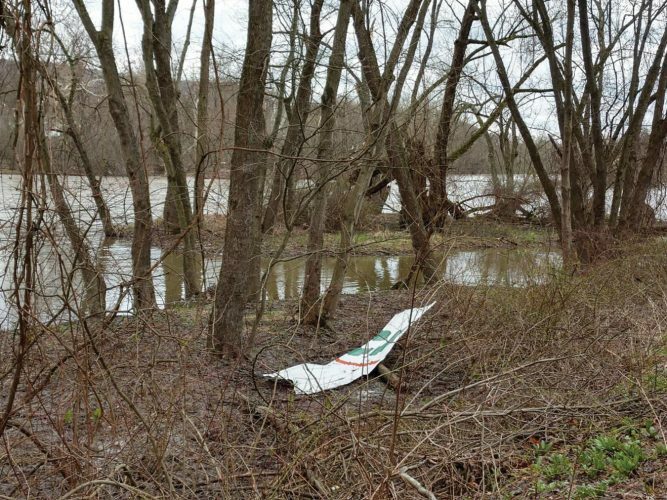 They have also provided replacement flags for the Four Flags historical site in Warren. The Warren chapter has been active in contributing to the babysitting program of the Warren Red Cross Unit, providing quality care for children. They have supported “Century 21 Kids,” encouraging young girls in a variety of careers; and “Getting the Life You Want” program under the Family Services counseling program as well as sponsoring a room at “A Safe Place” for victims of sexual assault. Zonta members provide “hands on help” for the event “Women are Wonderful” – (day-long educational fun workshops on health, technology, finances, recreation, etc. ), at the Jefferson DeFrees Family Center where club meetings are held. Several Salvation Army programs are supported: “Bundle Up Days,” annually helped hundreds of children select warm winter clothes; Red Kettle campaign drive; gifts for moms at Christmas; and “Back to School,” a program providing school supplies for families with a limited income. These many worthy projects are supported by the fundraising efforts of the club. Over the years, hundreds of pounds of pecans have been sold each November. In March, the Lucky Numbers Lunch fundraiser continues to be held while changing locations and formats over the past twenty years. The sold-out luncheon features hundreds of baskets and prizes. It continues to be a popular event and major fundraiser for the Warren Zonta Club. In past years, scholarship funds were supported by an annual Fashion & Food Show held at Beaty Junior High School, rummage sales, and an Antique Show and Sale. Each year, Zonta of Warren provides a community grant to an organization that reaches out to the Warren community. Recipients have included A Safe Place, House of Hope, Warren Library Association, Hooktown Holidays, Warren Leadership, and Cancer Care Center, as well as many others. The word Zonta is derived from the language of the Native American Sioux and means honest and trustworthy. It was adopted by Zonta International in 1919 to symbolize the combined qualities of honesty and trust, inspiration and the ability to work together for service and world understanding. In looking back, Zonta looks forward to many more years of friendship with each others and service to Warren County with the hope of a better and brighter world for all. Zonta International is in 67 countries with more than 33,000 members in over 1,200 Clubs. Zonta is divided into 32 districts of which Warren is in District 4. Members regularly support functions to acknowledge International Women’s Day and Zonta Rose Day on March 8, and United Nations International Day for the elimination of violence against women on November 25 each year. The 90th celebration, “Warren Zonta Through the Decades” is scheduled for 10 a.m. Saturday, Sept. 29, 2018. It begins with an Open House at the Jefferson Defrees Family Center. The public and other service groups are welcome to visit with members and view the displays honoring the history of the club.